UPDATE: Deadline extended to 14 September 2015. VIEW Journal of European Television History and Culture, the first peer-reviewed multi-media e-journal in the field of television studies, devotes its 9th issue (Spring 2016) to TV Formats and Format Research: Theory, methodology, history and new developments. This special issue of VIEW seeks to build on existing format scholarship and deepen our understanding of the history and continuing growth of the TV format business from a European perspective. Offering an international platform for outstanding academic research on television, VIEW Journal has an interdisciplinary profile. It acts both as a platform for critical reflection on the cultural, social and political role of television in Europe’s past and present as well as a multi-media platform for the circulation and use of digitized audiovisual material. The journal’s main aim is to function as a showcase for a creative and innovative use of digitised television material in scholarly work. It intends to inspire a fruitful discussion between audiovisual heritage institutions (especially television archives) and a broader community of television experts and amateurs. In offering a unique technical infrastructure for a multi-media presentation of critical reflections on European television, the journal aims to stimulate innovative narrative forms of online storytelling, making use of the digitised audiovisual collections of television archives around Europe. • Understand the implications of format imports for local production. We seek contributions that can advance our theoretical and methodological approaches to television formats, address the latest trends in TV formatting, and/or fill other gaps in format scholarship. We welcome contributions in the form of either short articles (2000-4500 words) or video and audio essays. • Video and audio essays presenting primary sources (e.g. 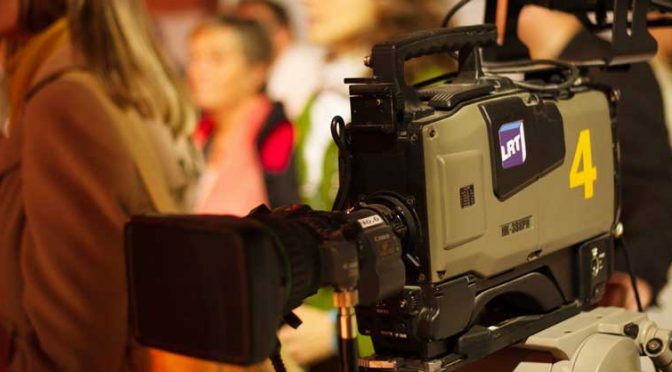 oral interviews, audio-visual material) or other ways of exploring TV formats in Europe. Paper Proposals (max. 500 words) are due on September 1, 2015 September 14, 2015. Submissions should be sent to the managing editor of the journal, Dana Mustata at journal@euscreen.eu. Articles (2-4,000 words) and video essays will be due on December 15, 2015. For further information or questions about the issue, please contact the co-editors: John Ellis, Andrea Esser and Juan Francisco Gutiérrez Lozano.